The Schudio calendar is a really helpful tool for displaying information to your site visitors about life in school. Our recent feature updates make it easy for you to publish information to your calendar and for visitors to see which information is applicable to them. You can now also import other calendars into your Schudio calendar as well as export the information you populate in the Schudio software to use elsewhere. You can manage your calendar by going to Calendar on the left hand menu of the Schudio software. Click the green "create category" button which will present you will a short form, allowing you to name your category and pick a colour. Hit save and your category will be created. 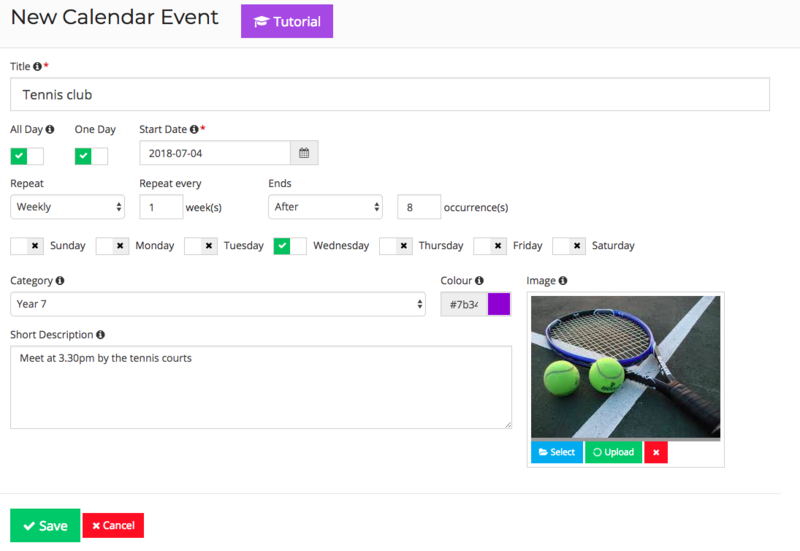 You will be able to select the category when you are creating Events and Calendar Events. Calendar events are used to publish information to your calendar. These are more for information purposes as opposed to other Events which are published on your events page and are to draw attention to a particular event. 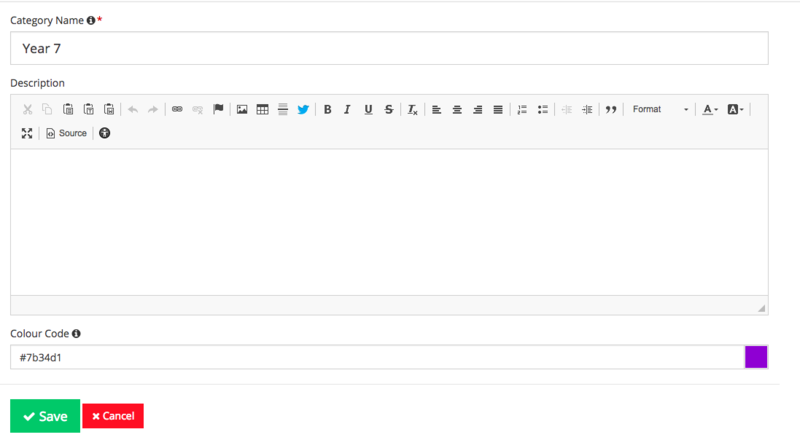 To add a Calendar event, click the "+Create Event" button which can be found by going to Information >> Calendar. Category - If you have set up categories you can select the category you would like the event to be included in. The colour will be completed automatically based on your category settings. Short description - this is where you can include a little more information/instruction which the user will see once they click on the event. If you would like to import a calendar you will either need the file (must be ics) or the URL of the calendar. We would suggest using the URL option as this will give you the option to sync your calendars to make sue it is always up to date. If you choose file it is a one time import. You can import the calendar onto a specific category if you are using categories. This will colour the events in accordance with the calendar settings. If you would like to use the information from your Schudio calendar in your school calendar then we suggest going to the calendar on the front of your site. You can find this by adding /calendar to the end of your website URL. At the bottom of the calendar you will see two different subscribe buttons as well as the option to subscribe to categories. Click the relevant button to subscribe to the calendar in the way that is appropriate for you. Click the "Help with calendar subscriptions" to view more information about this. We suggest subscribing to the calendar in this way as this will keep the calendar up to date as changes are made. If you use the Export option in the admin area you will have to export it each time you make a change to keep your calendars up to date. If you create a event in your Calendar and the date moves you can simply drag and drop the event onto the correct date to move it.